ANDREA GRODY (Music Director) is currently the Music Director and Supervisor of the Broadway musical The Band’s Visit. Recent projects include the world premieres of Shaina Taub’s As You Like It (Public Works), The Band’s Visit (Atlantic Theater Company), Cake Off (Signature Theatre/Bucks County Playhouse), The Fortress of Solitude (Public Theater/Dallas Theater Center), Unknown Soldier (Williamstown Theatre Festival), and Love’s Labour’s Lost (Public Theater/Shakespeare in the Park); and the regional premieres of The Great Immensity and Venice (Public Theater). Other favorites include Assassins (Yale Rep) and Robin Hood as Composer/Music Director (Williamstown Theatre Festival). Writing credits include the full-length musical Strange Faces and several songs for The Civilians’ Let Me Ascertain You series. 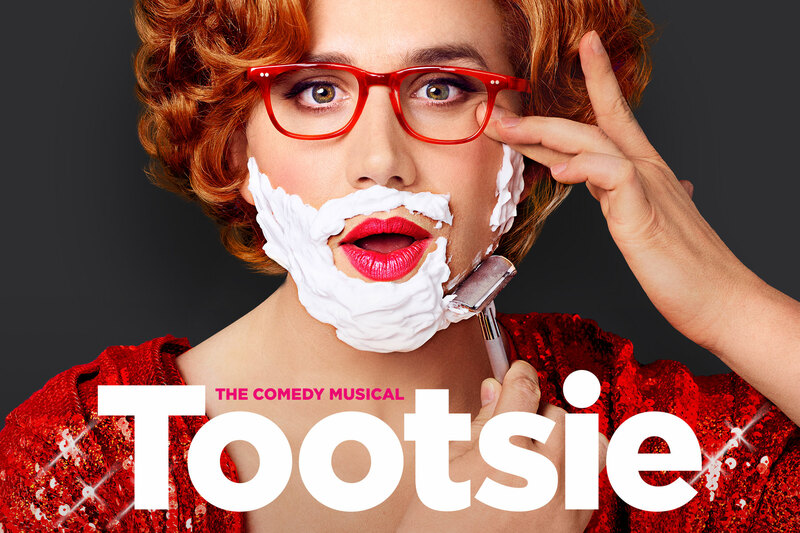 TOOTSIE is produced by SCOTT SANDERS PRODUCTIONS (Scott Sanders and Carol Fineman), an award winning theatre, film and television production company that was acquired by Westfield in 2016, where Mr. Sanders was named Creative Head of Global Entertainment. SSP was most recently represented on Broadway as the lead producer of the acclaimed 2016 Tony Award-winning revival of The Color Purple. That production was also the recipient of a Grammy Award for Best Musical Theater Album and a Daytime Emmy Award for Outstanding Musical Performance on NBC’s “Today.” The Color Purple is currently playing to rave reviews on a highly successful tour across North America. Scott Sanders Productions has developed and produced such stage properties as After Midnight, which won a Tony Award in 2014; the Tony Award-winning Elaine Stritch at Liberty; the first-ever Broadway revival of Evita starring Ricky Martin, Elena Roger and Michael Cerveris; the critically acclaimed The Pee-wee Herman Show (on Broadway and in Los Angeles); Oprah Winfrey at Radio City Music Hall and O Magazine’s 10th Anniversary.